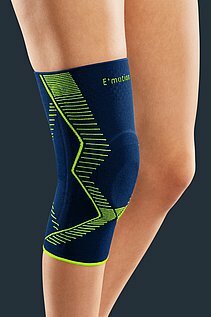 The knee is a very sensitive joint and a number of ligaments are responsible for its trouble-free function. 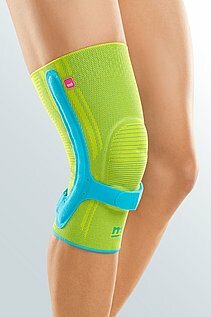 Supports from medi can make sure that the user has less pain, if any at all, when moving the knee. 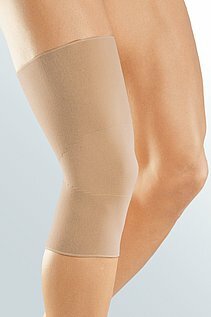 Pain in and around the knee is often caused by high stresses. These can be triggered not only by repetitive movements, but also by sporting activities, for example. People who stress their knee ligaments by sitting for long periods or kneeling a lot often suffer from pain in the knee joints. 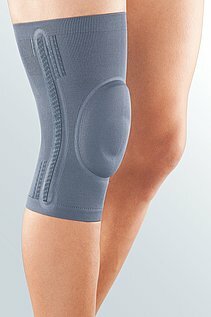 The use of knee supports from medi can relieve pain. Anybody who suffers from instability of the knee joint, joint effusion, swelling, irritative conditions, osteoarthritis, arthritis or pain in the knee should tell their doctor, who may decide that a support should be worn. medi's medical devices are marked by their comfort in wear, user-friendliness and suitability for the purpose intended. They ensure that no so-called trigger points develop. These are caused by overstrain of the outer thigh muscle that initially contracts permanently and then shortens. 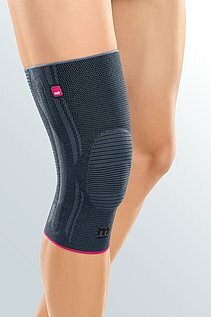 Wearing a knee support from medi gives a firm hold and better blood circulation. 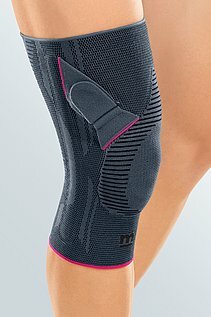 The compressive knit of the knee support relieves and stabilises the joint. The simultaneous massage of the musculature can relieve pain. 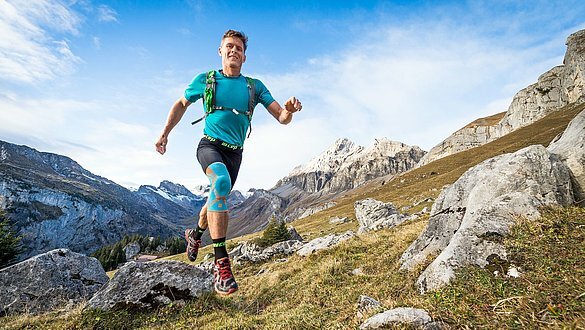 High comfort in wear is achieved by the processing and use of breathable and skin-friendly materials. 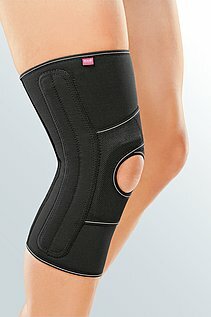 The integrated silicone ring relieves the kneecap. Breathable and antibacterial materials such as Clima Fresh or Clima Comfort rapidly transport moisture to the surface, so that sweating is considerably reduced. At the same time, the non-slip system keeps the support securely on the leg – even though it can be applied and removed without any great effort.